We all know its easy to find flip flops or crocs with your team’s logo, but shoes that take you into fall and winter can be a little trickier. 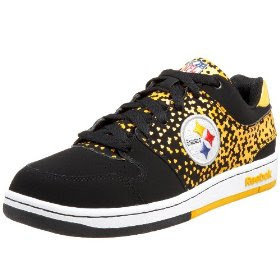 So I thought I would help you with your fall football watching shoe. They’re listed as men’s, but I think they have a unisex-y feel to them. 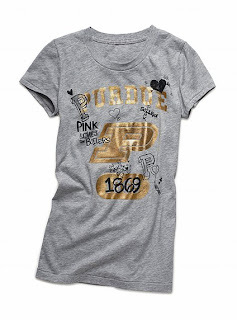 So reader, I apologize, I am a little late to report this to you, but Victoria’s Secret has an adorable collegiate collection filled with cute tees, hoodies, and pants. Most of the items for my fave college football team, the PITT Panthers, are basically sold out. I did see them in person in the store a few weeks ago, and it was all adorable! 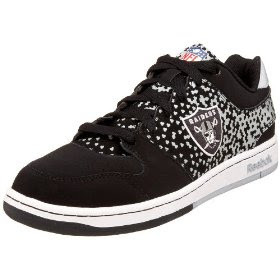 I suggest you run, not walk, to your local Victoria’s Secret to see what pieces they have left for your fave team. You won’t be sorry. I’ve liked Vince Young since I saw him during his 2005 Heisman Trophy nominee interview, and they asked what he liked to do in his free time, he said” hangout with my girlfriend” What a cute response. I know his behavior in the past few years has been not so nice, but he has totally redeemed himself in my eyes. I’ve included the story from ESPN.com below…. For one day at least, Vince Young stepped up to try to fill the void for the late Steve McNair’s two young sons, the Tennessean reported Thursday. Young surprised 11-year-old Trenton and 5-year-old Tyler on Wednesday by showing up at their house and taking them to their school’s “Dear Dads Breakfast” at a local restaurant. Julie Dilworth, admissions director at St. Paul Christian Academy, lauded Young’s actions. “It was a great, great gesture,” Dilworth told the Tennessean. “All the kids had been talking about the dads’ breakfast and [Trenton and Tyler] were wondering what was going to happen with them. 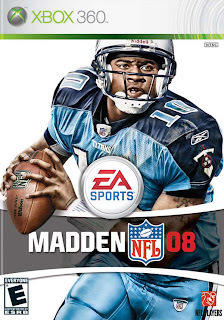 Young had a close relationship with Steve McNair, even before the latter was drafted by the Titans four years ago. He attended McNair’s football camps when he was young. McNair was shot and killed July 4. Besides being there for McNair’s sons, Young gave other kids at the school jerseys and autographs. “It was a surprise, and just to see the excitement on their faces, it’s a great feeling,” Young told the Tennessean. “We had a good time eating pancakes. I had an omelet. Vince Young, keep up the good work. Thanks to random.org, the winner of my first giveaway has been selected, Parsonsa1@comcast.net!! Congrats!! Thanks to everyone that entered. I can’t wait to do another giveaway!! I was lucky enough to go to the Penguins game tonight. And it going me thinking, I may need to expand my site to include chic hockey fashion?! We’ll see……Go Pens!! I came across this today and had to share it with the members of Steelers nation. Snoop Dogg we love you. They’re all worth watching! Alexander Wang’s Spring 2010 collection. Wang’s inspiration was the most popular red-white-and-blue pursuit: football. Look at those shorts! Lace-up caramel leather! Adorable. They look like a deflated football! I can’t wait to work some of these pieces into my Spring wardrobe! So athletic, so chic….Athletichic. I am very happy to announce my first giveaway!! I have to warn those of you outside of Pittsburgh, this giveaway is not for you, but I promise, I hope to have a national one soon! This week’s giveaway is sponsored by Elements Hair and Nail Studio! All you need to do is comment on this post (just a hello will work), and you’re entered for a chance to win a gift certificate good for a manicure and pedicure! Just in time to get a black and gold French manicure for the start of the season! The winner will be picked at random on Tuesday the 15th. Be sure to enter an e-mail address I can reach you at, if your e-mail address isn’t working just enter your name and check back to see if you won. Boys enter for a lucky lady in your life, or for yourself! Good luck readers! I knew Alyssa Milano had a line of cute, fashionable sportswear. It wasn’t until recently that I checked out her site, http://www.fandalia.com/ I really loved her assortment, mostly because she does not offer pink jerseys, the biggest fashion faux pas! 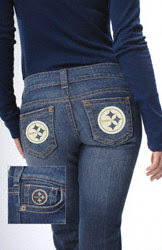 The collection for the Steelers wasn’t very big, but I did find these jeans. With a blend of 98% Cotton 2% Spandex, these jeans will be perfect for gameday. And with those cute back pockets, its a great way to show off your team spirit! How adorable is this sweater jacket! This cute, little thing will be sure to keep you warm for those Sunday night games. Check out the site for other great pieces. I think they would all make great additions to your team wardrobe. Don’t be alarmed. The proper way to measure your sleeve length is from the center of the back of the neck, over your shoulder and down to the center of the back of your hand. It’s common for this sleeve length measurement to be longer than you’re used to. Truth is, you’ve probably been wearing the wrong sleeve length your entire adult life. Try this – next time you prop your elbows up,take a moment and note how far up your forearms the cuffs of your shirt have moved. If you’re not wearing a custom dress shirt this will probably look mildly ridiculous. You were probably convinced that your shirts fit fine because when your arms are hanging relaxed at your sides, the cuffs come just to your wrist. It would seem that if you add another inch, they will be too long. After all, you don’t want your sleeve coming over your hand.